Singapore is an island country situated in South-east Asia. Singapore, famously known as the “Lion City,” got its name from the Malay words singa, which means “lion,” and pura, which means “city.” Tasty food, vibrant sensational shopping, local attractions and art and culture make Singapore a perfect holiday destination. : Singapore can be visited throughout the year, but the best time to visit Singapore is during the festive season. Some people want to avoid busy periods during festivals while some want to join in the fun. June, July and August are the best months to visit Singapore, but they are also the busiest months. So, book your hotel way ahead to avail the best rates and to enjoy exploring the place too. 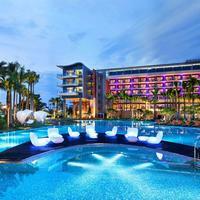 : Location plays a big role in hotel prices. If you want a hotel at a comparatively cheaper rate then book a hotel that is a little away from the prime locations. : There are many travel portals like Cleartrip, which allows you to search for a hotel by using filters like price range. 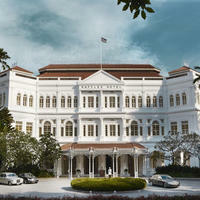 Depending on your budget, you can go for a budget hotel or a luxurious 5-star hotel in Singapore. 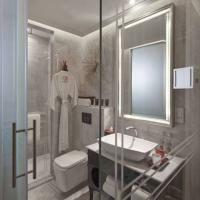 : If you are a person who wants to spend your holiday exploring, rather than sitting at the hotel and enjoying its pool, bar etc, then it is better for you to consider booking a budget hotel with basic facilities for a comfortable stay. A hotel with fewer amenities will bring down the price dramatically while you can enjoy exploring the place. Little India is one of the best places in Singapore to find budget accommodations. Some of the hotels located in Little India are Wanderlust, Sandpiper Hotel, Zenobia Hotel and many more. It forms the heart of Singapore. 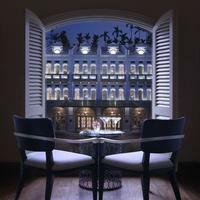 Carlton Hotel, Summer View Hotel, Raffles Singapore are all located in Colonial District. All of these hotels can be booked online via Cleartrip. China Town boasts a good many upmarket and boutique hotels. 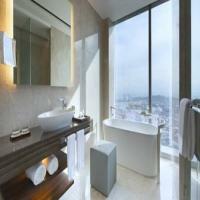 Bliss Hotel Singapore, Wink Hostel, Amara Singapore are some of the hotel options. 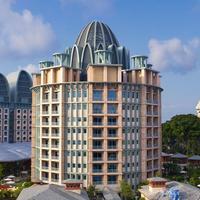 Sentosa Island is home to some plush hotels, bars, restaurants and spas. 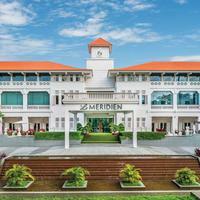 Hotel Micheal, Capella Singapore, Le Meridian Singapore are some of the top hotels located in Sentosa Island. It is the best place for shopping and also has some famous landmarks like Istana Park. 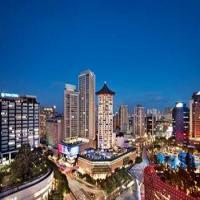 Hilton Singapore, Orchard Hotel are located in Orchard Road. 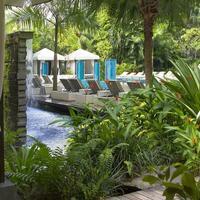 : Changi Airport is at a distance of 29 km from Singapore main city. The airport is well-connected to several cities like London, New York, Delhi, Shanghai, Paris etc. Some of the major airlines serving this airport are Air India, Air China, Air France, Lufthansa and many more. : Singapore has two causeways namely Johor–Singapore Causeway and Malaysia–Singapore Second Link that connect Malaysia and Singapore. There are regular bus services to and from Malaysia like First Coach and KKKL. : Singapore is connected to Malaysia, Johor Bahru, and Kuala Lumpur via shuttle train service. From the station, you can avail buses or taxis to reach your destination. Singapore is a base for cruises throughout South-East Asia. Singapore offers regular ferry services to Tanjung Belungkor in Malaysia and Riau Islands in Indonesia. Waterways are a great way to reach Singapore. 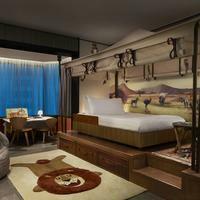 There are a wide range of hotel options in Singapore. 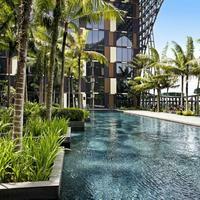 To book a hotel in Singapore, log on to Cleartrip website. Starting from 47.65 SGD to 11581.31 SGD (Singapore Dollar), you can choose the best as per your budget and facilities offered by the hotel. Marina Bay- Marina Bay is the hub for business, finance and community activities. 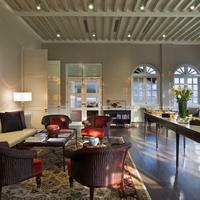 The Marina Bay is an amalgamation of luxurious stays, architectural masterpieces, fine dining, and shopping places. 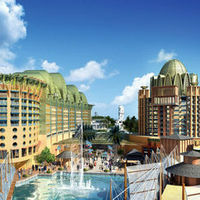 Universal Studios Singapore- It is located on Sentosa Island. Universal Studios houses numerous restaurants, cafes and shopping areas. It has many other sights and things to do, such as Sci-Fi City, Ancient Egypt zone, Lost World of Dinosaurs and many more features. Garden by the Bay- This award-winning horticulture spot is one of the best places to visit in Singapore. It is spread over 101 hectares of land. Singapore Flyer- This is Asia’s largest giant observation wheel, located in Raffles Avenue. It is positioned at a height of 165 meters from the ground and is as tall as a 42 storey building. 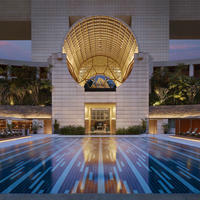 Infiniti Pool at Marina Bay Sands- It is the largest rooftop Infinity Pool in the world. It is the most spectacular photo-taking spot in Singapore. China Town- Your visit to Singapore is not complete without visiting the China Town. China Town is known for its authentic Chinese food and vibrant shops. The oldest Chinese temple, Thian Hock Keng is situated here. Night Safari Nocturnal Wildlife Park- This is world’s first-night safari park. It houses some 2,500 resident animals like Malayan Tiger and Malayan Tapir. Singapore Zoo- Singapore zoo is one of the must place to visit in Singapore as it houses more than 300 species including Giraffes, Zebras, Koalas and White Tigers. Clarke Quay- It is a destination for nightlife lovers as it is packed with food joints, pubs, bars and spirited discotheques. S.E.A Aquarium- Located on Sentosa Island, this aquarium is home to more than 100,000 marine species like sharks, bottlenose dolphins, and turtles. 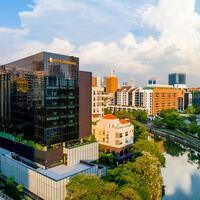 : Singapore is a multi-cultural city and is home to people belonging to different backgrounds. 75% of the population are Chinese while rest are Malays and Indians. : The national language of Singapore is Malay. English is most widely spoken language and Chinese and Tamil are other official languages. : From Chinese to Malay, Indian to Peranakan, you will find all cuisines in Singapore. Some of their local delicacies include Satay, Roti Prata, Fried Kway Tiao, Hokkien Noodles, and Hainanese Chicken Rice. 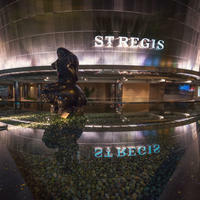 : Singapore is one of the world’s best destinations for shopping. You can buy things like apparels, bags, and electronics at great prices. Orchard road, China Town, Little India, Bugis Street are some of the best places to shop. Penang Island- Penang International Airport is 1 hour 20 minutes from Singapore. It is 915 km from Singapore. Kuala Lumpur-It is at a distance of 350 km from Singapore. It would take 50 minutes to travel from Singapore to Kuala Lumpur by flight. 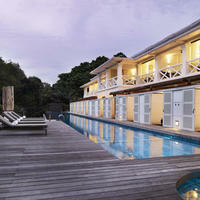 Port Dickson- It is 333 km from Singapore and is considered as one of the perfect weekend getaways. Johor Bahru-The second largest city in Malaysia, Johor Bahru is only 35 minutes drive away from Singapore. It is only around 30 km away from Singapore. Malacca- One of the historical states of Malaysia, Malacca is at a distance of 245 km from Singapore. The city is known for its beautiful heritage buildings, ancient landmarks, and colonial structures. Singapore experiences an equatorial climate, which means the climate is hot, humid and rainy throughout the year. The average temperature is between 25 degrees Celsius and 31 degrees Celsius. April to June are the hottest months while November to January are the wettest months. This is the festive season in Singapore, so this is the time when Singapore is brimming with tourists. This is the best time to explore Singapore but due to the peak season, hotel rates would be high. 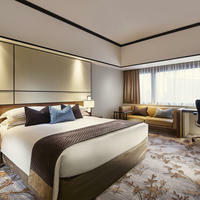 So, book your hotel well in advance to avail the best rates as well as to enjoy the festive season in Singapore. Avoid travelling between November and January as they are the wettest months. February to April is between the summers and winters. These months are quite pleasant and are ideal for outdoor activities. To enjoy a slight break in the tourist traffic, you can visit during the months of July and October. Hotel rates will be comparatively cheaper at this time. Chinese New Year- Chinese New Year is the biggest festival of Singapore and is celebrated between January and February every year. Music, street lighting, street marker selling are all part of the celebration. Hari Raya Puasa- This festival is celebrated in the months of September and October. It is another name of Eid UL Fitr, which is celebrated at the end of month-long fasting-Ramadan. Deepavali- Deepavali, the festival of lights, is celebrated in Singapore in the month of October or November. It is a major Hindu festival. Lantern Festival- This is a popular festival held during the autumn season in Singapore. Singapore Arts Festival- The festival organized by the National Arts Council is held between the months of May and June. The festival brings together theatre, music, dance, and other regional and international acts. International Film Festival- The longest-running international event of Singapore is celebrated in April in multiple venues throughout Singapore. This festival showcases local, regional, documentaries and foreign films. Vesak Day- Vesak Day is celebrated by the Buddhists to mark the birth of Lord Gautama Buddha. During this day, Buddhists visit Buddhist temples to offer prayers and worship. Dragon Boat Festival- This is a 2,000-year old Chinese festival held in the month of June to commemorate the death of Qu Yuan, a famous Chinese poet. To commemorate the event, various teams race boats on Bedok reservoir.